I am shocked to see Google testing ads on the knowledge graph so soon! @gfiorelli1 posted a picture on Twitter of the new car knowledge graph that launched a week or so ago with an ad format on it! I am honestly surprised to see ads on the knowledge graph so soon and even more so, it is hard to make out that these are ads, with the exception of the little "ads" label on the right hand side. 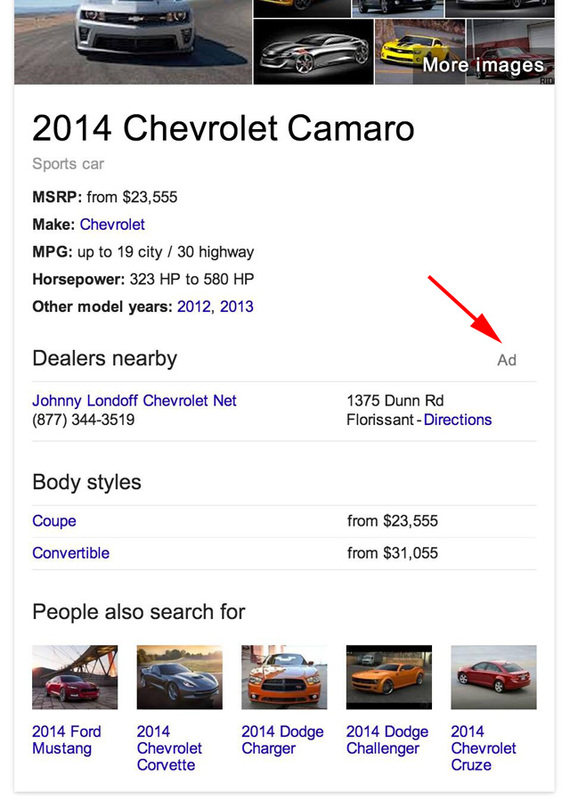 This seems to be pulling local ads directly into the knowledge graph. I assume they are indeed relevant ads but still.